As motoring hacks, we'd say we rack up a fair bit of mileage every year—but this man is on an entirely different level. Marek Kaminski is a polar explorer, and on his latest adventure, he drove 16,000km in just three months, crossing eight countries over two continents to get from Poland to Japan. And he did so with zero tailpipe emissions. Dubbed the #NoTraceExpedition, Kaminski's three-month journey was meant to "demonstrate the feasibility of zero-emission travel by electric car." It was accomplished behind the wheel of a Nissan Leaf, whose current generation has sold more than 41,000 units in Europe alone since its launch in October 2017. Including the sales of the first-generation model, the nameplate has sold over 340,000 units since 2010, making it the world's bestselling EV. 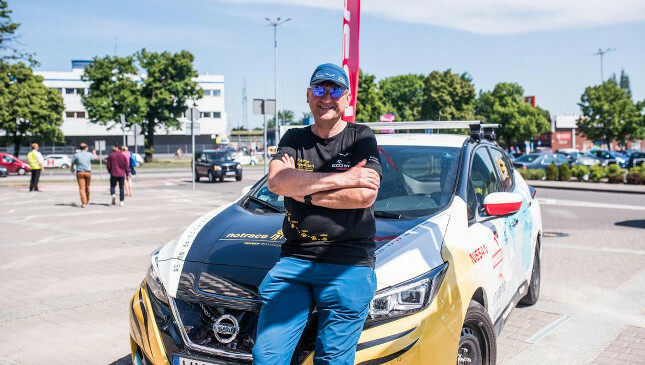 To get to his destination, Kaminski passed through Lithuania, Belarus, Russia, Mongolia, China, and South Korea, with each country presenting different terrain, weather conditions, and charging restrictions. He carried a special charger that enabled full recharging of the Leaf's 40kWh battery in four to five hours. According to his daily records, Kaminski managed to eke out an average range of 250km in between charges. The farthest he'd traveled in a day was 493km. He recharged his car a total of 53 times to cover the actual 13,000km distance from Poland to Japan; upon reaching his destination country, he drove an extra 3,000km. 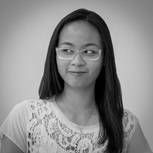 "For me, this journey is not just about reaching my destination—it is also about making a simple, brilliant change to be more sustainable," Kaminski explained. "Whether in the wilds of Russia, on remote Mongolian dirt tracks, or in the bustling streets of Tokyo, the Leaf has been a reliable partner throughout. 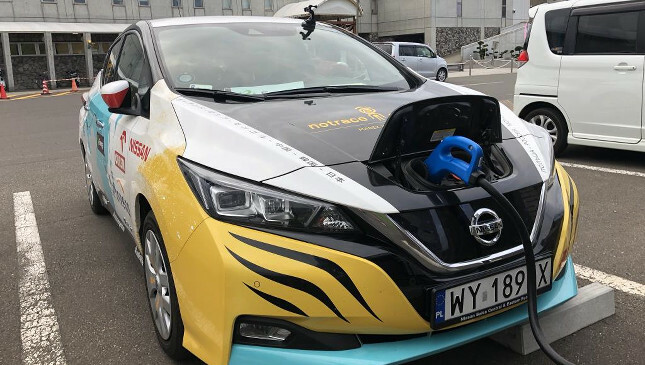 The car and features such as the ProPilot [semi-autonomous driving system] were impressively capable in tough driving conditions, and even in remote areas with little infrastructure, we kept the Leaf charged and on the move."